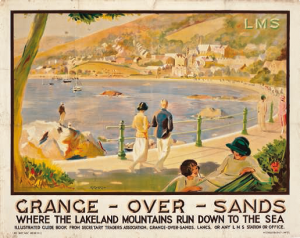 The advent of the Furness Railway transformed the small fishing village of Grange-over-Sands into the fashionable Edwardian resort, with wealthy merchants building grand houses, which now accommodate several tasteful hotels. 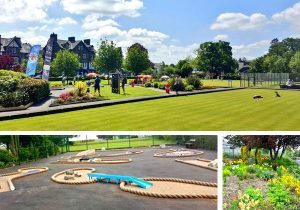 The town features a traffic-free promenade, ornamental gardens, a duck pond, golf courses, brass band concerts and vantage points for bird watching. The shop fronts still retain their Edwardian appearance with many shops selling local produce. 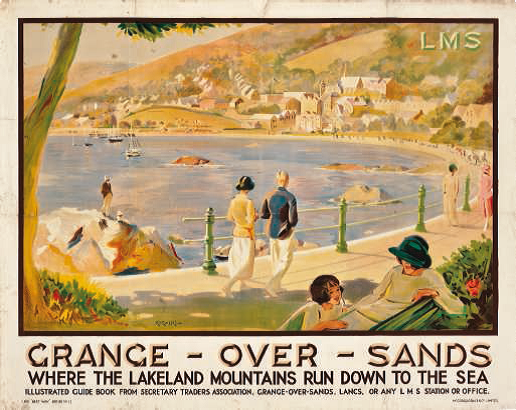 Your time in Grange-over-Sands would not be complete without a visit to the famous Promenade. Take the time to enjoy a leisurely stroll along The Prom and admire the fabulous views across Morecambe Bay. There are play and exercise facilities for all ages and abilities & The Prom Café is the perfect place to unwind. Grange Promenade Recreation Park can be found on the promenade at Grange-over-Sands & has the best views of the bay. Open from 10am until 6pm during peak times with free entry. After your walk around the gardens & along the prom be sure to visit some of the great little independent food shops & buy some delicious local food! 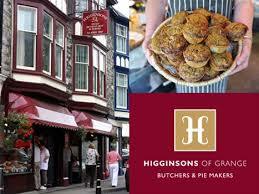 Higginsons Family Butchers Shop specialises in locally sourced meat & delicious home-made pies. At Higginsons they are creative in their approach, yet with a simple ethos – to bring the highest quality food and meat to customers with care and commitment. “We are proud to produce our Gold Award Winning Cumberland Sausage, Award Winning Home-cured Bacon and Rare Breed Pork from our base in Grange Over Sands. We also supply local Cumbrian specialities such as seasonal Morecambe Bay Saltmarsh Lamb, Winster Luing Beef, seasonal Lakeland Herdwick Lamb and local Game”. 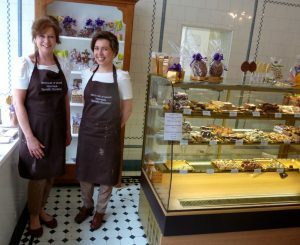 Choco-Lori on Main Street, Grange-over-Sands is run by a mother and daughter team, Anne and Louise, who began selling their home made chocolates at farmers’ markets in Cumbria and Lancashire. Grange Bakery continues the fine tradition of 100 years of baking. The current owners continue to introduce new products, building on the popular multi-seed and wholemeal loaves, baguettes and rolls, country grain bread and ciabattas made with extra-virgin olive oil. The sourdough bloomer has become a recent successful addition and the Last Wolf rye, made from Cartmel Brewery’s “Last Wolf” Ale, is rapidly growing in popularity. 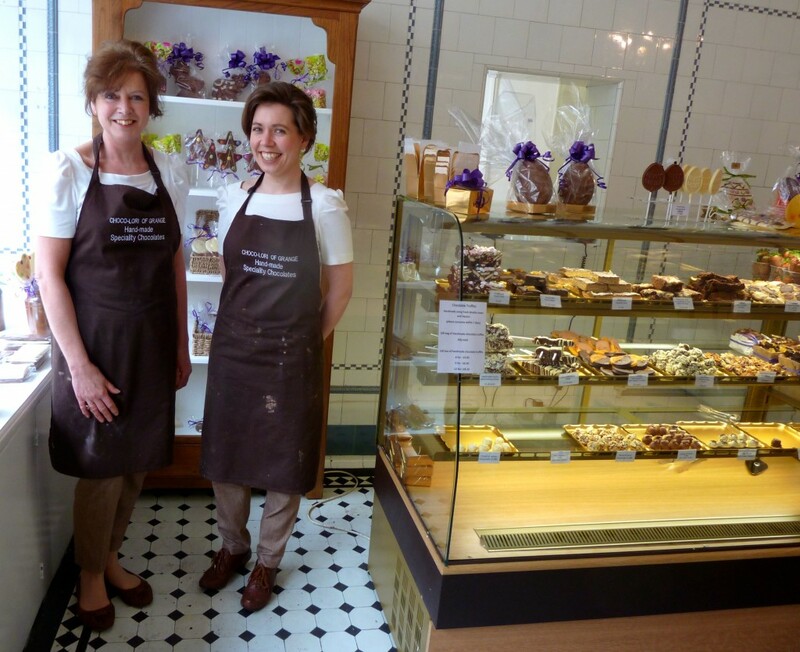 Grange Bakery also bake traditional favourites – iced vanilla slices, custard tarts, Viennese whirls, millionaire’s shortbread, current squares, chocolate brownies and all-butter shortbread. What’s the secret to their great tasting bread? Discover more at Grange Bakery on Kents Bank Road in Grange-over-Sands.